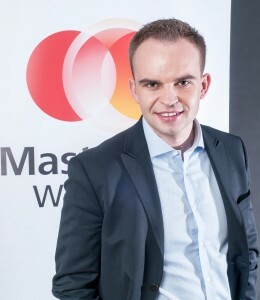 Mastercard operates the world’s fastest payments processing network, connecting consumers, financial institutions, merchants, governments and businesses in more than 210 countries and territories. MasterCard’s products and solutions make everyday commerce activities – such as shopping, traveling, running a business and managing finances – easier, more secure and more efficient for everyone. What payment solutions does MasterCard offer for the different client segments? We offer payment solutions that provide issuers, merchants and corporations with better choices and channels to grow their businesses. For more than 40 years, MasterCard has been advancing the way consumer and business cardholders around the world shop, dine, travel and manage their money, enabling transactions that drive global commerce and improve peoples’ lives. Our wide variety of customized payment card types include credit, debit, prepaid, commercial, chip and contactless, all of which feature state-of-the-art security and convenience. With innovative loyalty and reward solutions and comprehensive cardholder benefits and services, our card products provide financial institutions, merchants, and businesses with inventive ways to decrease costs and increase customer satisfaction. Each market has different needs. For that matter, we regularly run research programs on the markets in which we operate to get insight into cardholders’ needs, habits, attitudes, as well as perception of their own financial situation. At the same time, the feedback we receive from our partners in terms of the market demands and their specific client group needs is invaluable for offering them suitable products that best cater to their customers’ needs. How are innovative payment solutions changing the card industry and how is MasterCard positioned to pace these trends? Payment card industry is shaped by changing consumer needs and lifestyle, and innovative payment solutions are designed to cater to those needs, and improve commercial activities. As a leading technology company in the financial services industry, we are passionate about innovation and we are constantly seeking to develop and test new payment solutions that make everyday commerce activities easier, more secure and more efficient for everyone. MasterCard was recently listed in the Forbes Most Innovative Companies list. At number 32, our company sits alongside the world’s top 100 innovative companies based on a methodology that reflects firms which are innovative now, and are expect to be so in the future. All of these global brands are working daily to evolve their business and continue to do new and exciting things in their respective fields. What are the latest trends in the card payment industry? The most prominent trend in the payment industry is making payments available anywhere, anytime. Consumers worldwide appreciate convenient and safe products that also save their time, and as their lives are becoming increasingly digital, they readily embrace contactless payments via cards, mobile phones or any other gadget that they have with them all the time.